Superdry opened its first store in 2004, in Covent Garden. A little under a decade later, and SuperGroup plc, of which the distinctive American/Japanese collision is a part, had an annual turnover of £242.5 million in 2013. The 2014 figures are yet to be released, but the brand is evidently thriving. 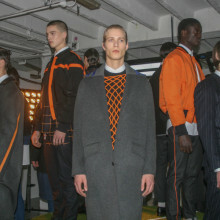 Their show on Thursday evening at their huge Regent Street store helped kick off this season’s London Collections: Men. 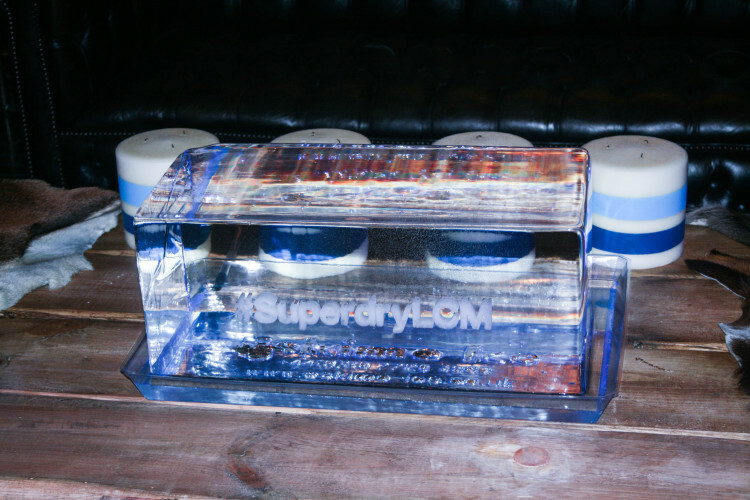 Though not typically associated with high fashion, Superdry are heralded to throw some of the best parties going. With the vast amount of complementary alcohol flowing last night, I’d be inclined to agree. 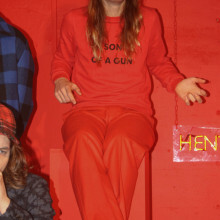 The show took the form of a static presentation, with the models lounging in a mocked up chalet (complete with mounted moose head), enjoying such activities as photographing each other on vintage cameras, playing cards, and complimenting one another’s bone structures. Every so often, a group of three or four came to the front of the space, showing off their threads. 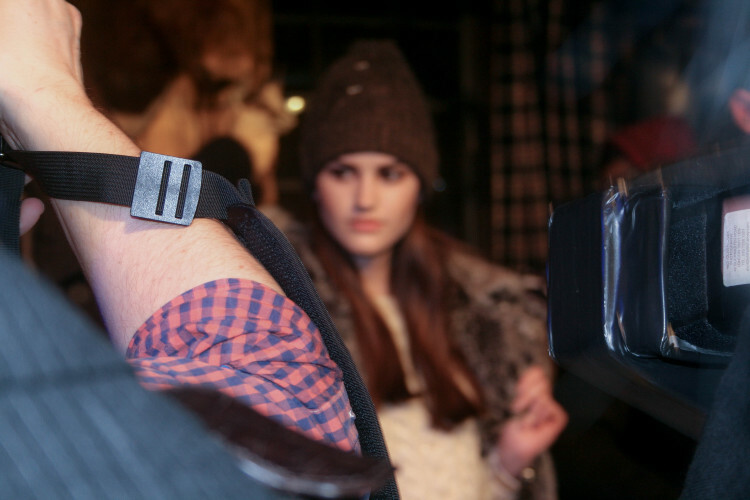 Broadly, Superdry was showcasing large-label skiwear with neon accents, but occasionally a surprising piece came through – the central model’s parka, for example, with its two-tone fur collar and petrol-slick finish, was really wearable. And not a logo in sight. I had a lot of love for this puffer jacket, too. The unusual decision to add toggle closure to a quilted jacket, and the striking cobalt colour, made for something a little less ordinary. This would look great on, or indeed off the slopes. The music played throughout was rock and roll in the original sense – think Nick Cave, T-Rex, The Milk and The Black Keys. 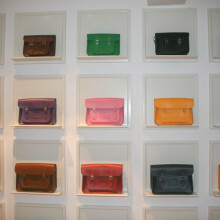 This lent an authenticity to the Americana-inspired theme that runs through so much of what Superdry does. Most notably, the event saw Dylan Jones of GQ in attendance, as well as Andy Jordan of Made in Chelsea, and captain of the England rugby team Chris Robshaw. A great way to kick off LC:M.